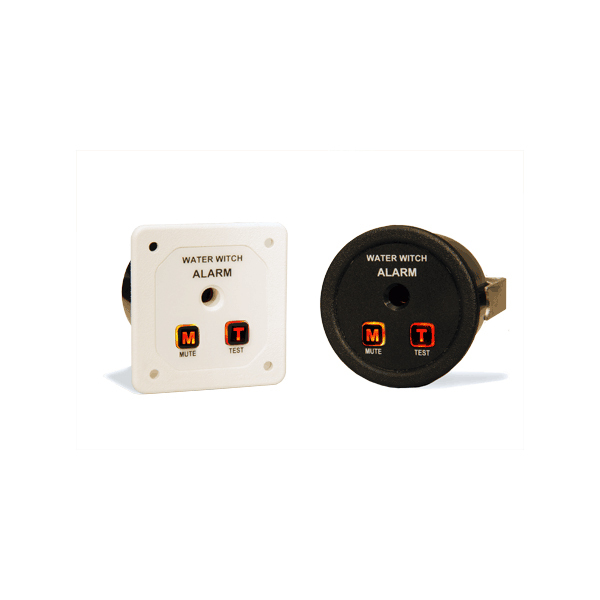 Model BP500 Bilge Alarm – Water Witch Inc.
Captains and crew want the ability to mute an audible alarm system. The concern, however, is the mute feature will accidentally be left on or forgotten, rendering the audible alarm in-active and pointless. The BP500 with Inteli-mute is the answer. By constant monitoring of the alarm, Inteli-Mute eliminates the possibility of accidentally activating the mute feature and/or forgetting the alarm has been muted. Once the Mute button is pressed, Inteli-Mute first silences the audible alarm, leaving the back-lit button flashing as a visual reminder of the alarm condition. If after 5 minutes, the alarm is still muted, Inteli-Mute turns off the mute feature. 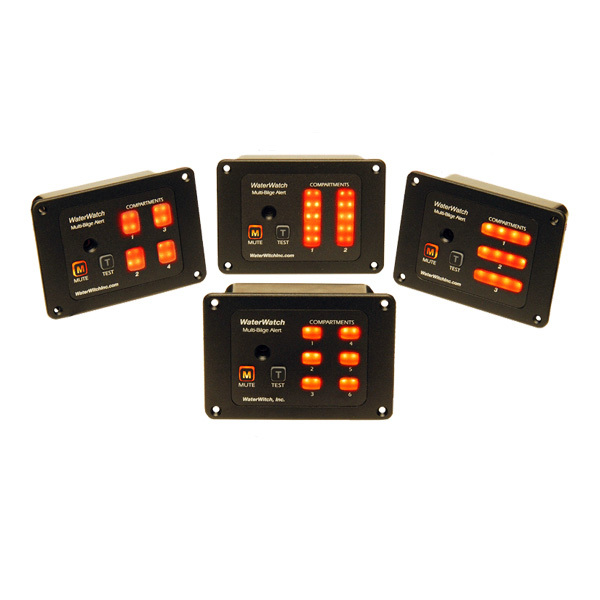 The audible alarm then reactivates, warning that an alarm condition is still present and needs to be resolved. The only way to turn off the BP500 is to resolve the alarm condition. Once done, whether the mute feature is enabled or not, Inteli-Mute resets the control back to the default ready mode.